All-Out Party Rentals > Combos > Make it a Wet Combo! 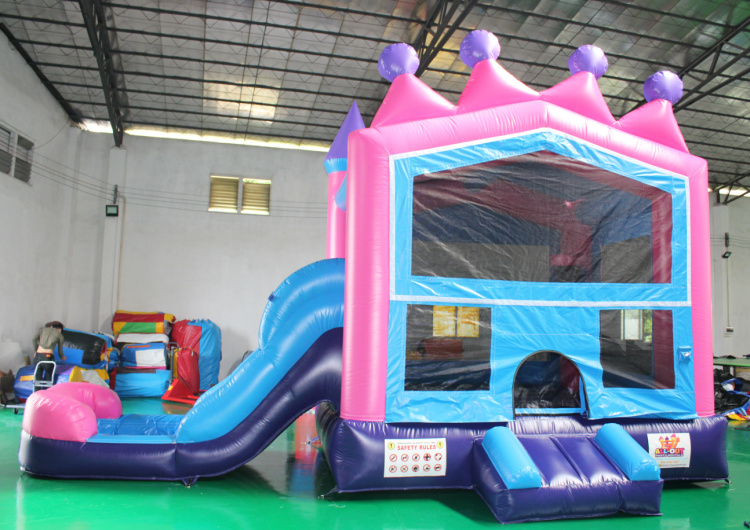 This Wet/Dry Combo is one of our most popular bouncy castles! 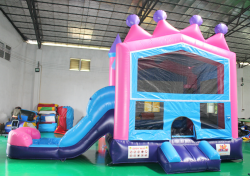 This colorful moonwalk has a fun jumping area, hoop inside, and an amazing single lane slide that is safe for kids of all ages. The bounce house has a mesh exterior that makes it easy to keep an eye on the little ones while they jump for joy. 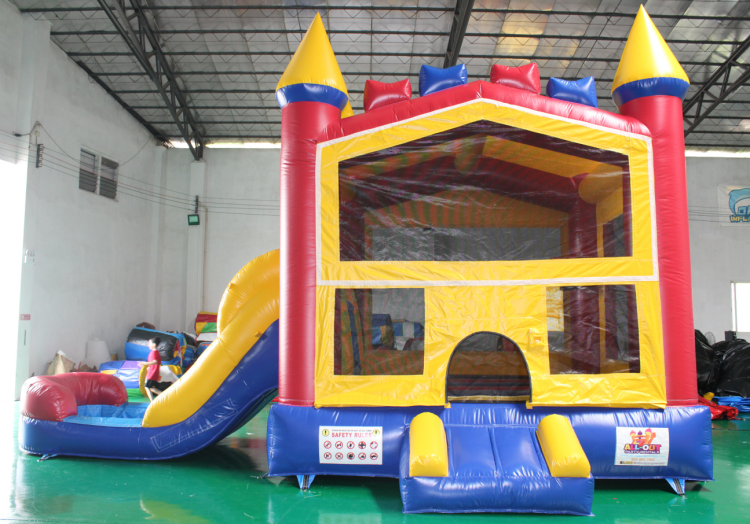 This bounce and slide unit is a party favorite that you are sure to love.